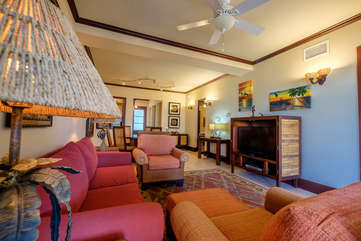 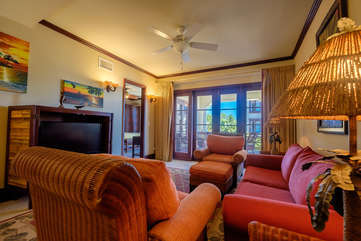 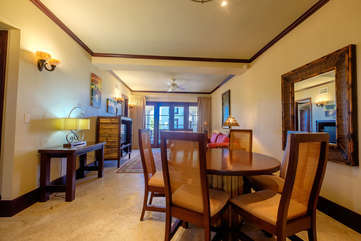 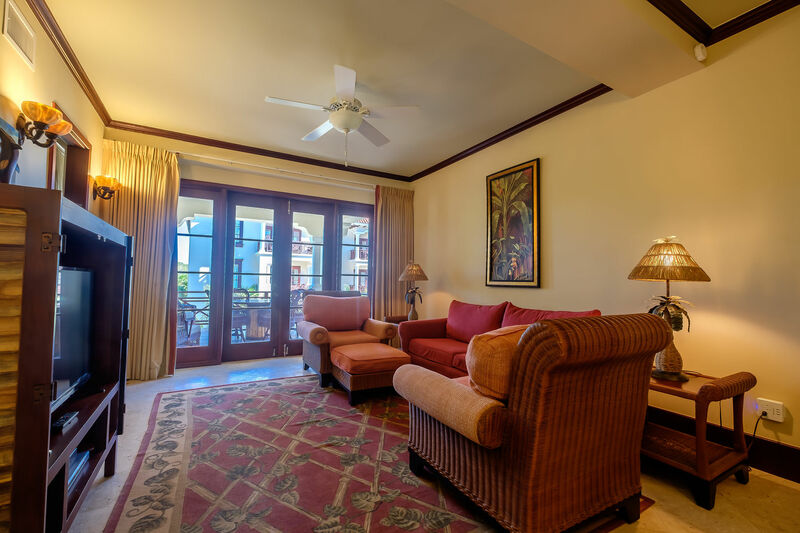 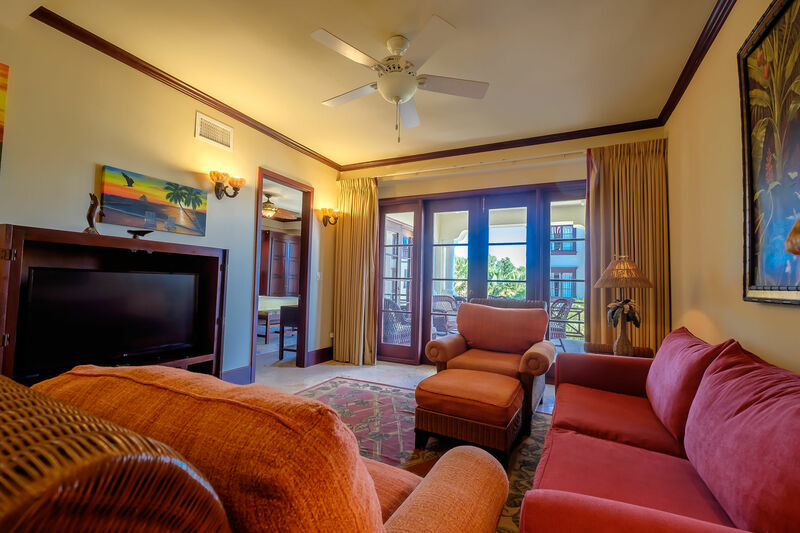 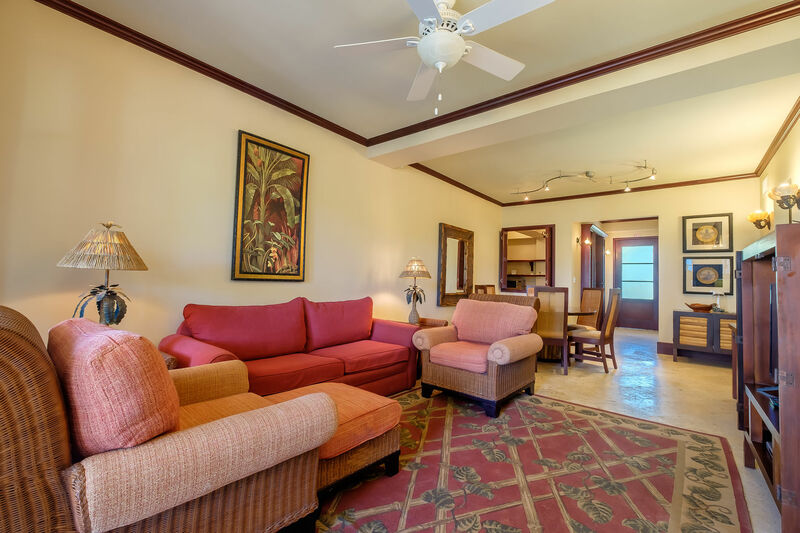 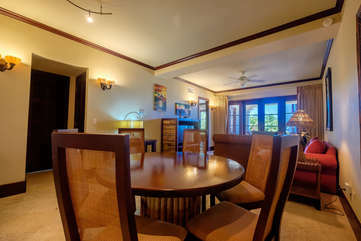 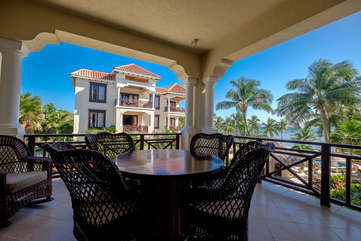 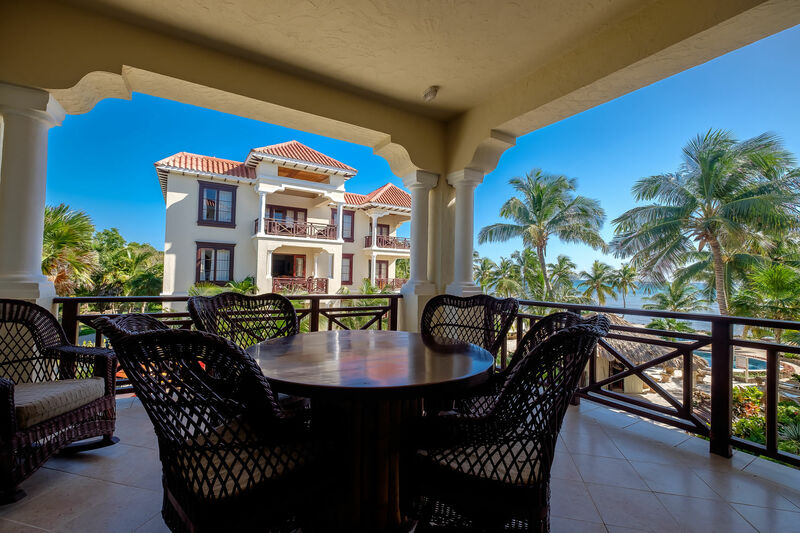 Our Veranda Suite is a spacious and elegant two bedroom, two bathroom villa perfect for two couples or a family. 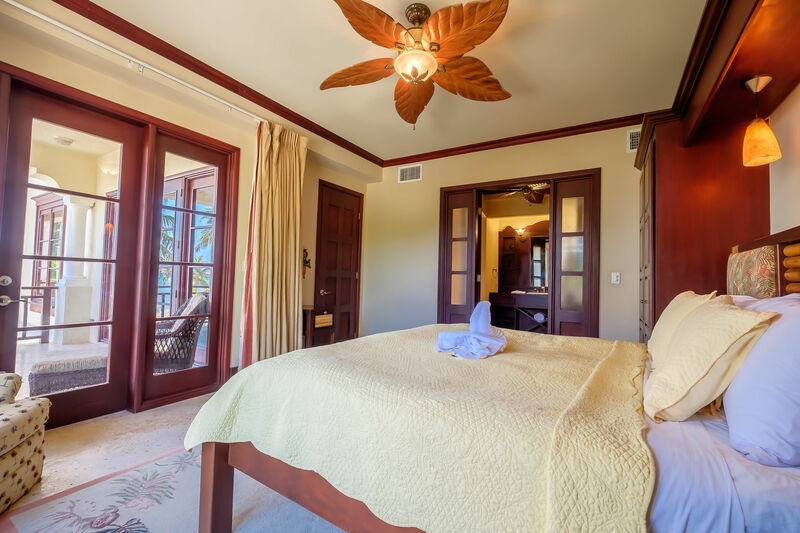 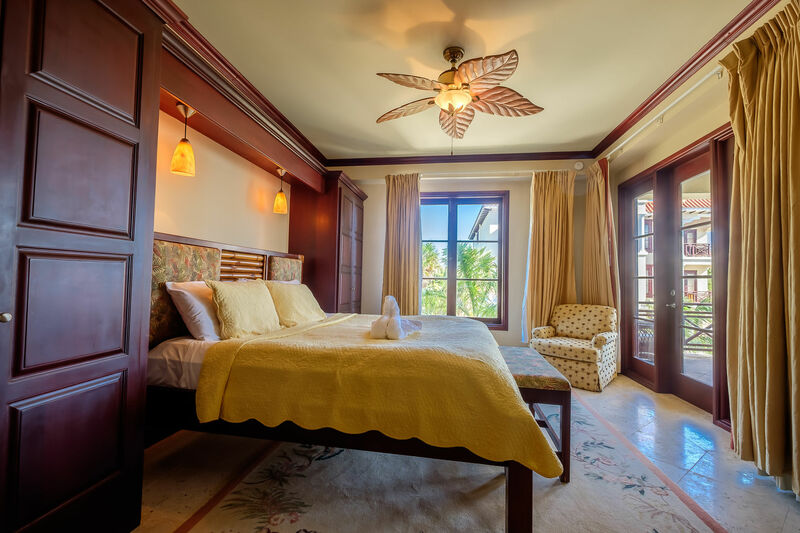 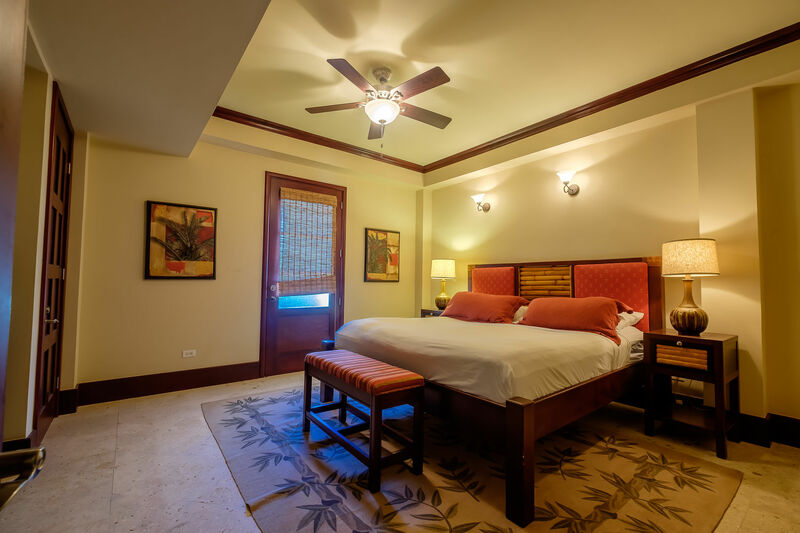 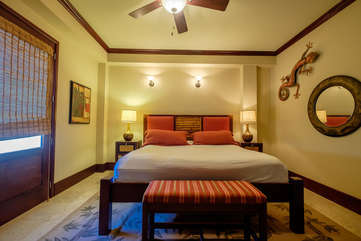 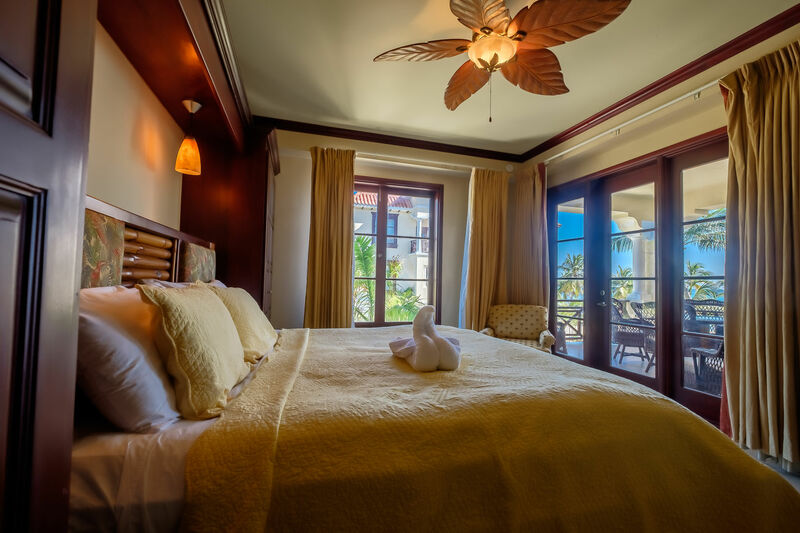 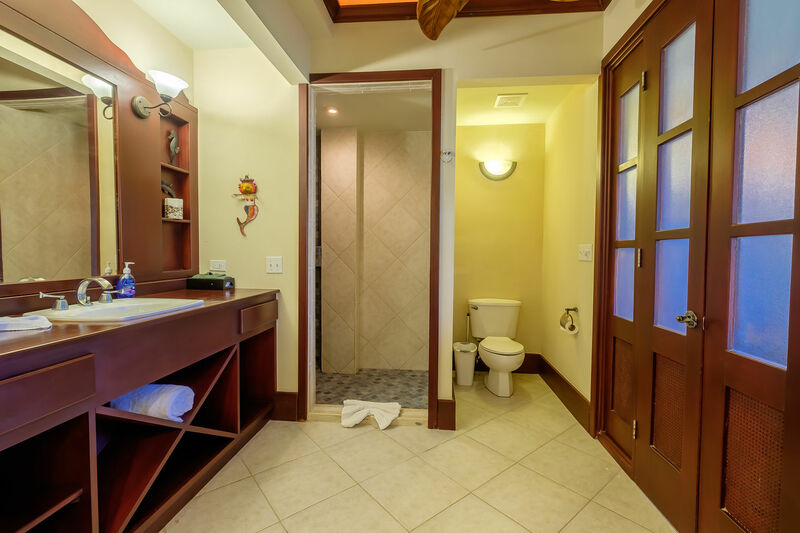 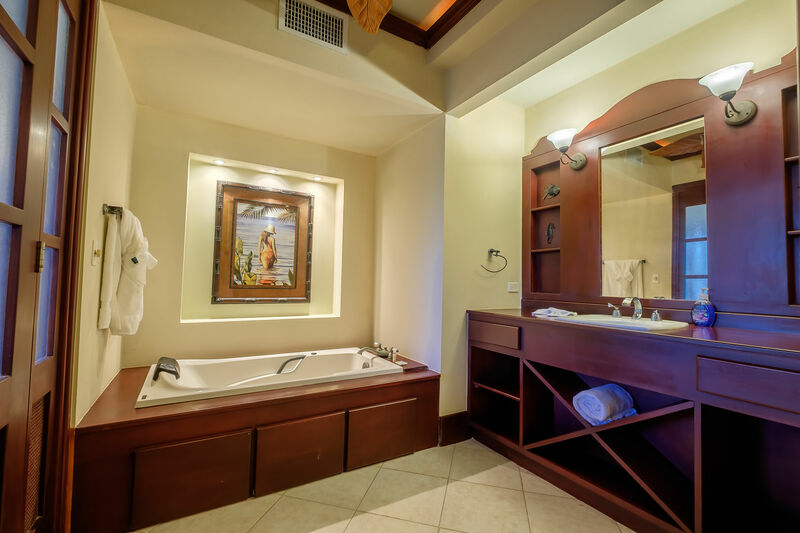 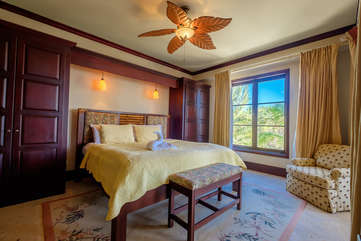 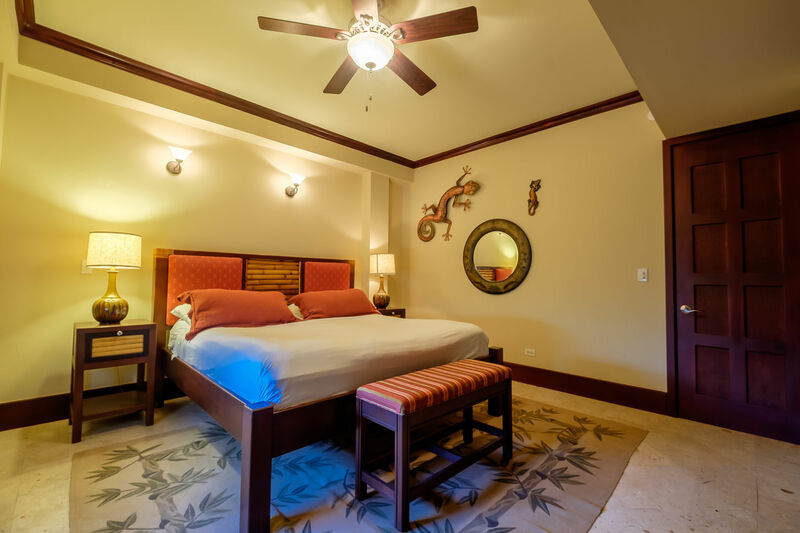 The master bedroom features a king-sized bed, veranda access and an en-suite bathroom with both a shower and jacuzzi. 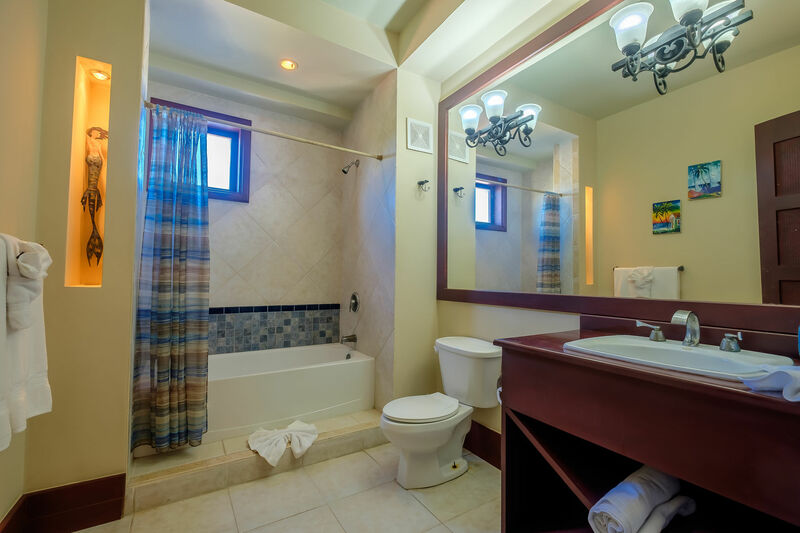 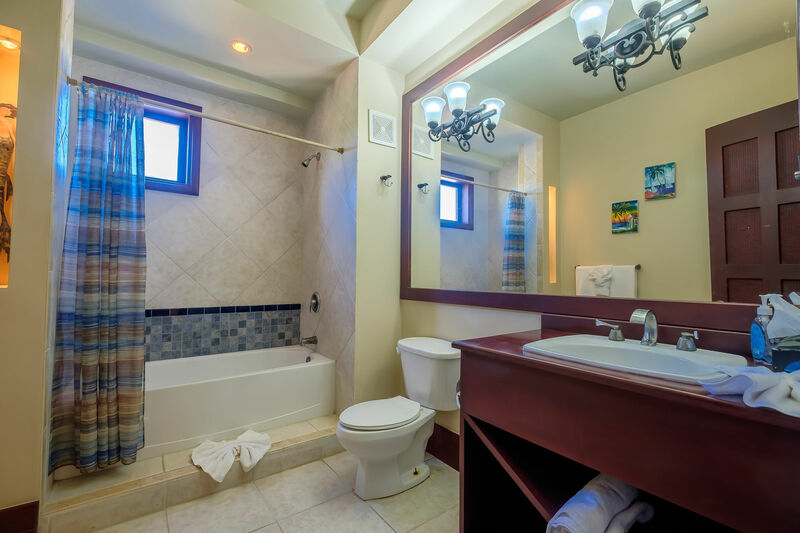 The second bedroom features two twin beds or a king bed, with a shower/tub combination in the main bathroom. 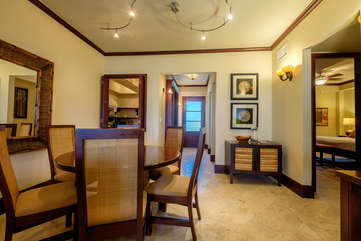 This suite offers a lavish 1550 sq. 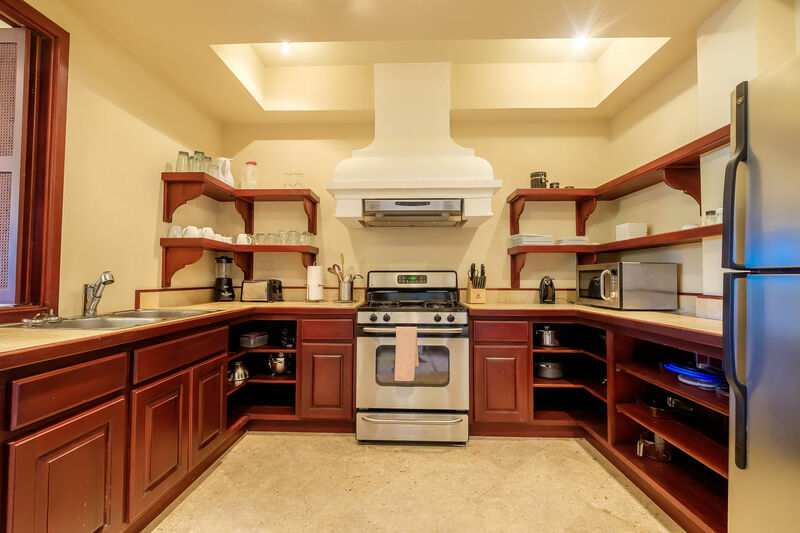 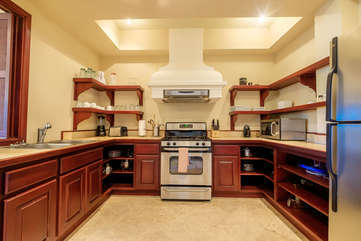 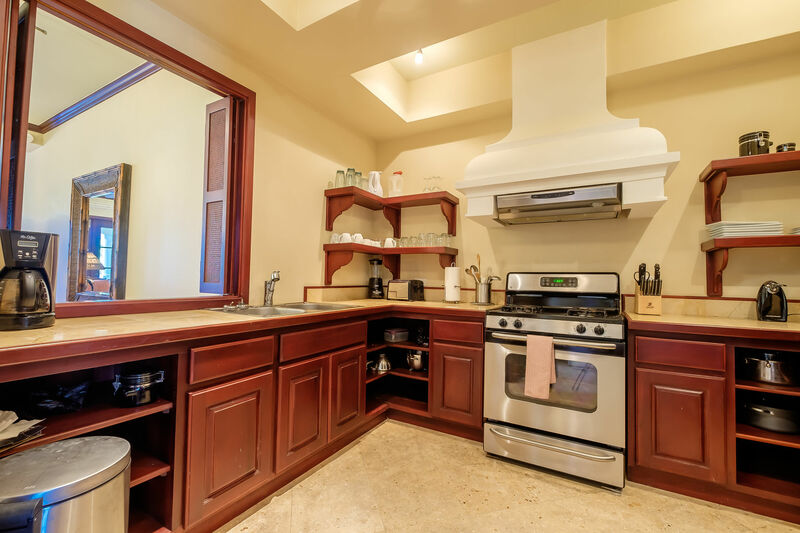 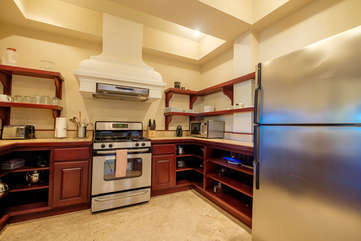 ft. of living space including a dining area, great room and a fully equipped kitchen. High ceilings and rich mahogany finish adds to the modern design and comfort of the villa, making it perfect vacation home. 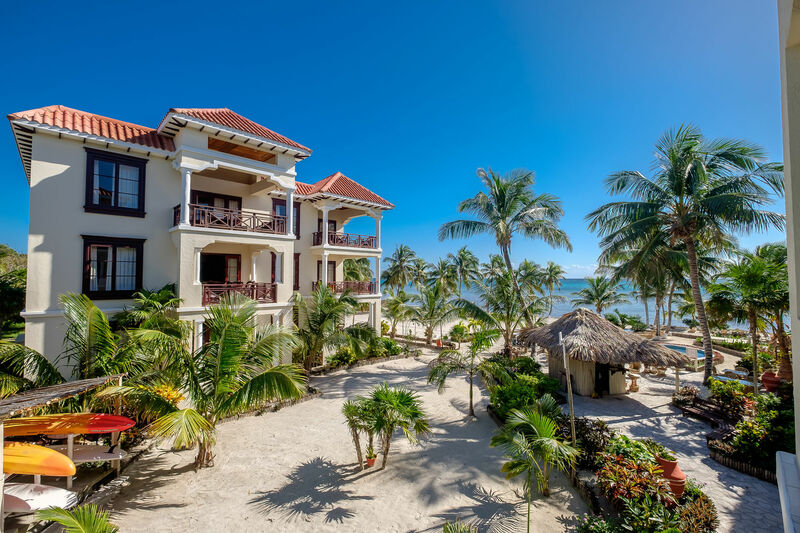 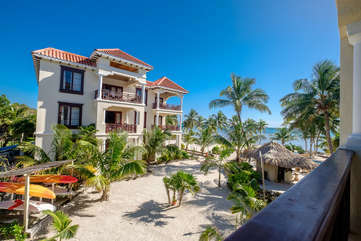 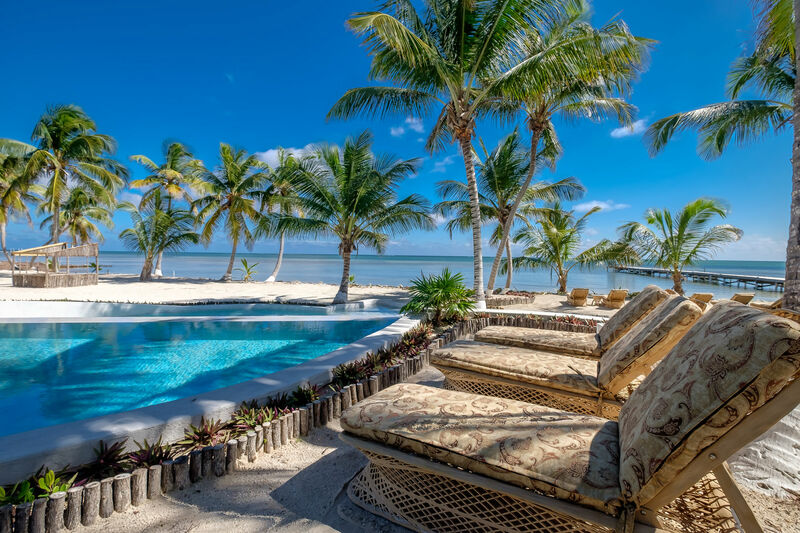 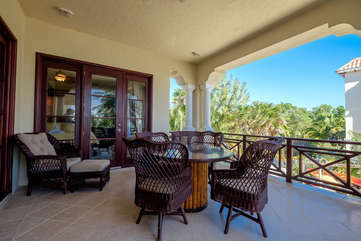 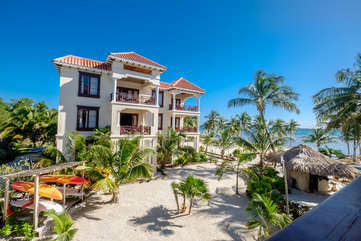 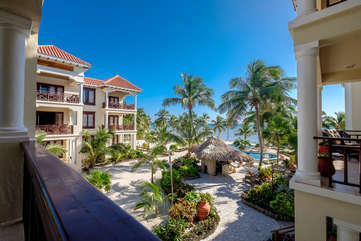 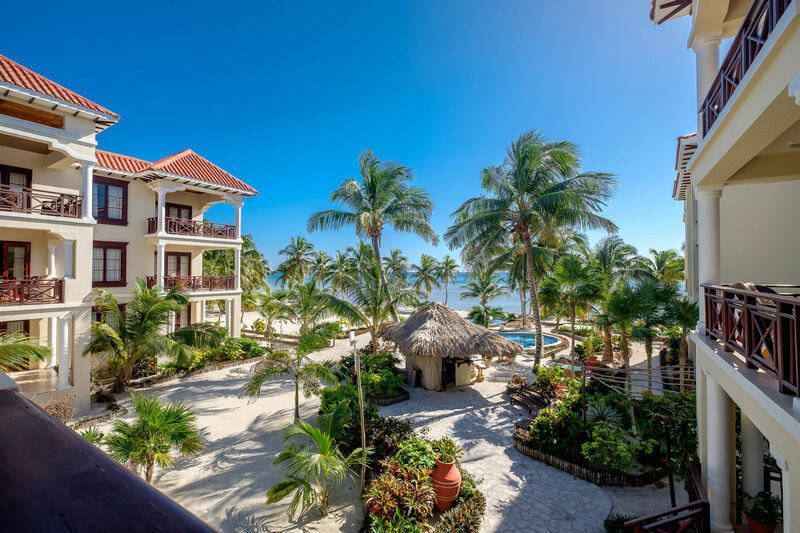 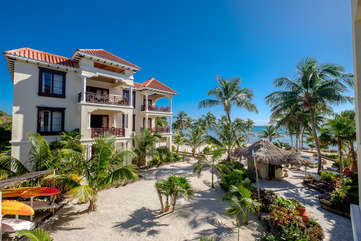 The expansive veranda provides a stunning panoramic view of the turquoise Caribbean Sea, swaying coconut trees and the world's second largest barrier reef, located less than a mile offshore.